3. Click the New icon in the top left corner and fill out the resulting form. This contains the authentication method and using an existing or new website in IIS. It also allows you to use anonymous access to the site as well as turning on SSL configuration options. Once the form is filled out, click OK.
4. 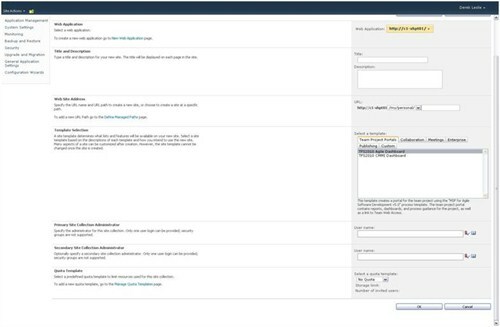 The changes will then process and SharePoint will return the Application Created message if all is well. Click OK once more. 5. 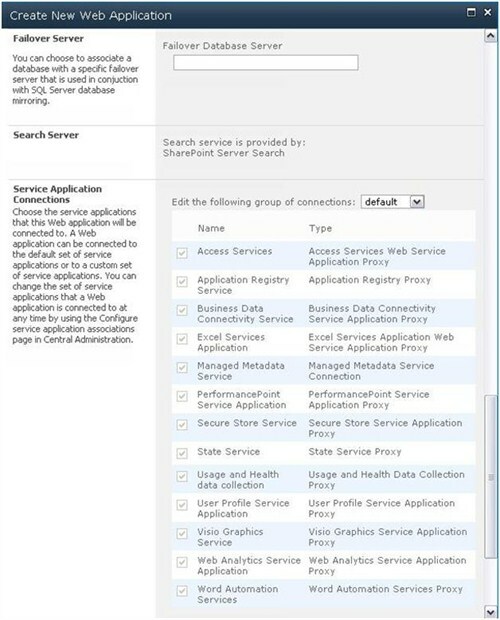 The web application you just created is now listed under the SharePoint Central Application v4. Next you will create the Site Collection. 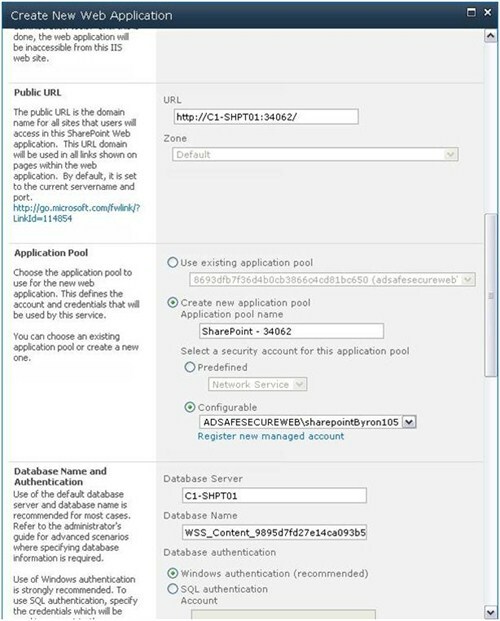 Navigate to Central Administration > Application Management > Create Site Collections. 6. Enter in the requested information and choose a template. After clicking OK, the site collection is now created. You can navigate to it via the URL specified.